Where should you locate your exterior doors on the modular building you are about to rent or buy? This is a question that depends heavily on building codes and the type of occupancy the modular will be used for. For example, a modular office building that will be open to the public will need conveniently located entry and exit doors as well as handicap access and proper emergency exit locations. The location of each door will also "hinge" on where the modular office building is located in relation to important features such as parking, existing bathrooms and other structures. 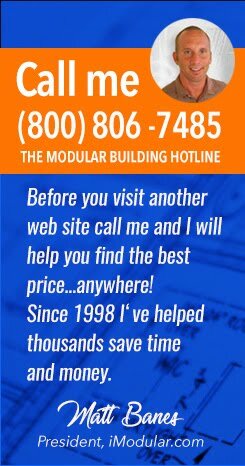 If you are planning to use a modular classroom these tips will help. TIP BEFORE YOU BUY OR RENT: Talk with your local building and safety department first. 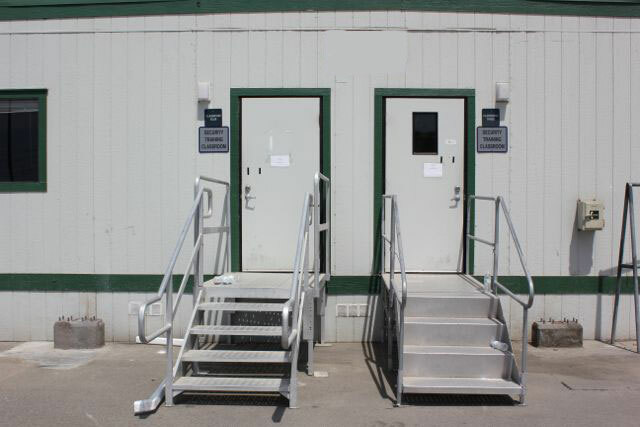 Show the planner a plot plan of where your modular building will be located on your property and ask the planner about door and handicap ramp locations. 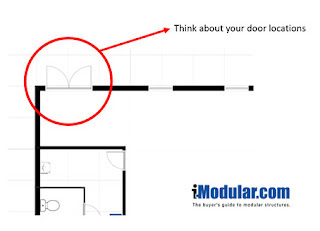 Officials in planning departments can be very helpful with your floor planning before you begin designing your modular building with a sales company.